On Thursday Nov. 1st, the second Breeze Town Hall was hosted at Chaffey College's Rancho Cucamonga campus for the mayoral candidates of Rancho Cucamonga. The attendees included mayoral candidates Thomas Reed and Mark Gibboney (above). As well as the residents of Rancho Cucamonga. Hector Solorzano was the coordinator of The Breeze Town Hall and the Editor-in-Chief of the online version of The Breeze. Solorzano invited all of the mayoral candidates, including the current mayor of Rancho, L. Dennis Michael. 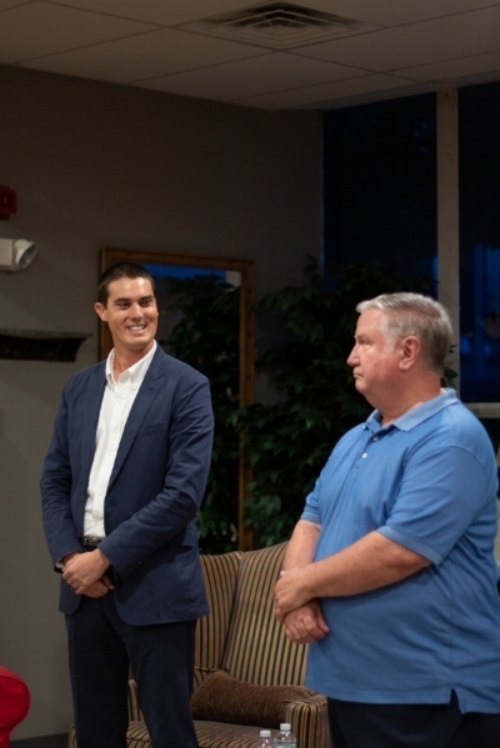 Michael politely declined as his schedule was booked with election preparations and wished his best for the event. 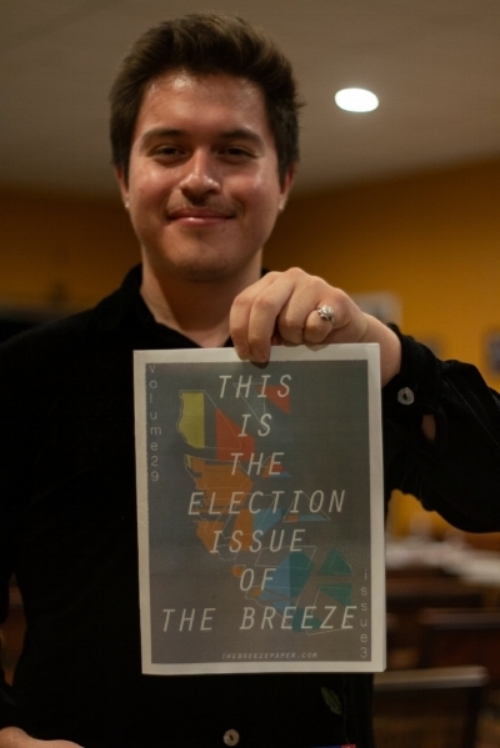 Hector Solorzano holding up the Elections Issue of The Breeze Newspaper. Photo Credit: Raylene Camerano. Paris Barraza was the moderator of the event and asked questions from students on twitter using the hashtag #BreezeTownHall. Barraza then opened up the floor for the attendees to ask questions. Topics included construction on the 210 freeway, the homeless population, immigration, concerns about the LGBTQ+ community and more. The candidates answered the questions and expressed their plans briefly. Attendees communicated their frustrations on the current immigration issue and argued briefly among themselves before the candidates continued the conversation with those individuals. 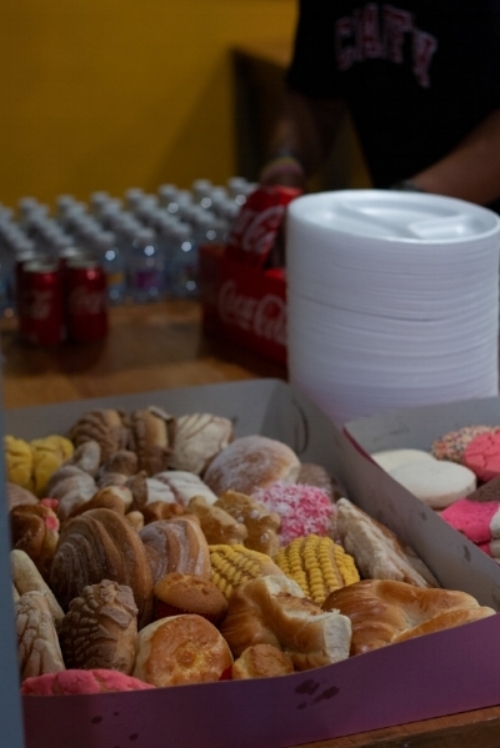 Student government of Chaffey College donated funds for the refreshments provided at The Breeze Town Hall. The event ended with Barraza thanking the candidates for their participation, and the attendance of the community of Rancho Cucamonga, encouraging those to vote on Nov. 6th. From Left to Right: Michelle Dowd, Lorena Corona, Thomas Reed with other attendees.